Hello and welcome to the blog! 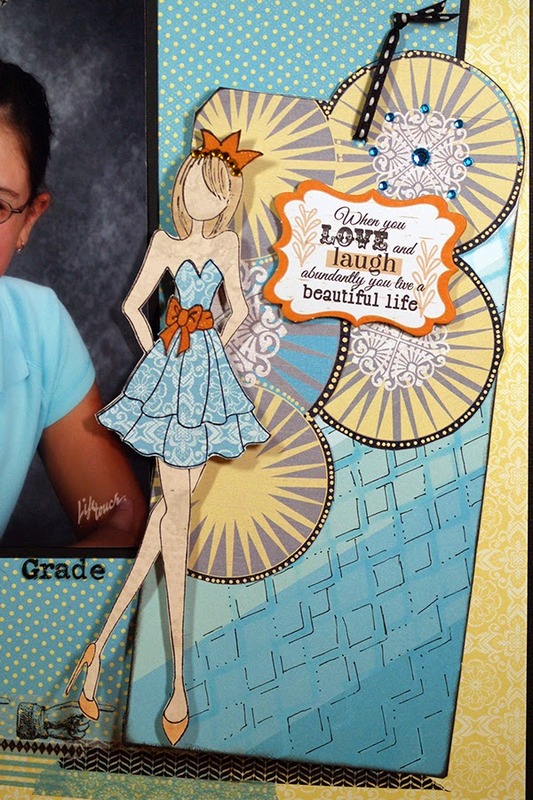 We are so excited to be doing a month long feature with our friends at Want2Scrap this month. 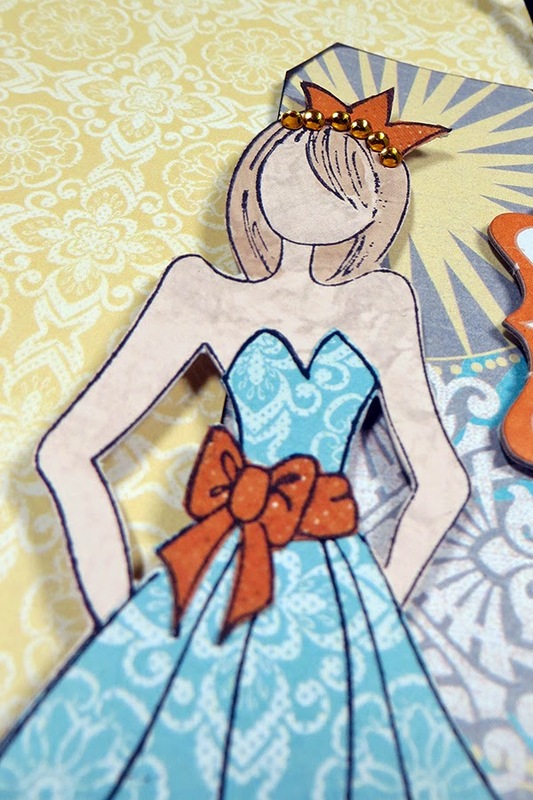 It's Susie hosting the blog today with a layout featuring the Dream Big collection and some goodies from Want2Scrap! 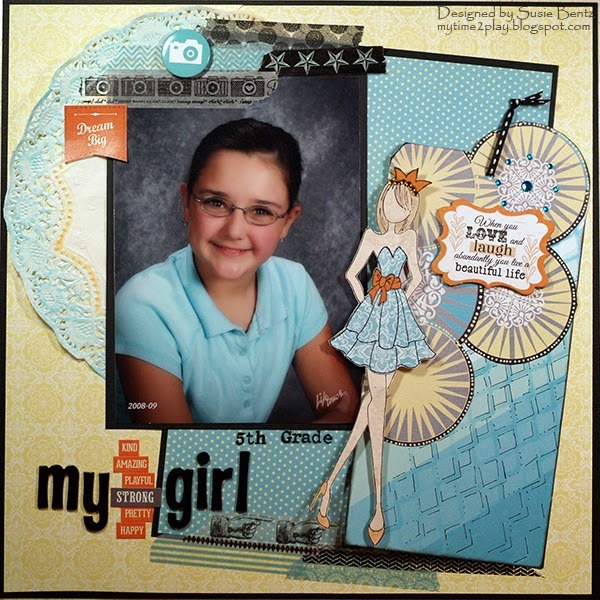 The colors in this collection were a perfect match for my daughter's school picture! So happy! 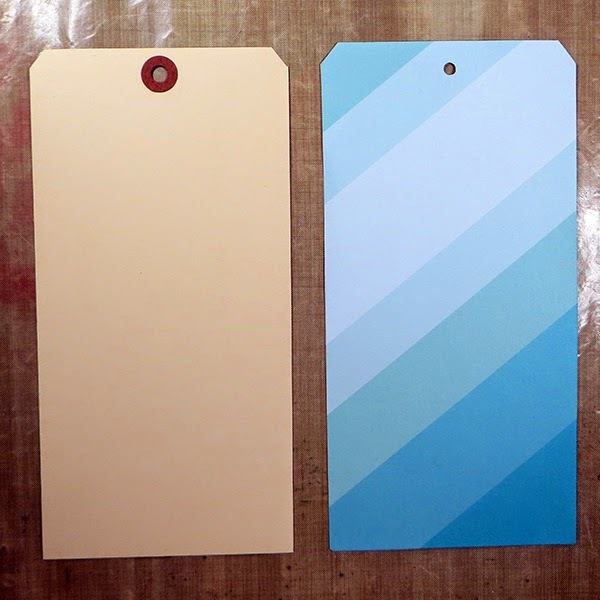 I started by tracing a tag from my stash onto Dream Big 400 so that the stripes ran diagonally. 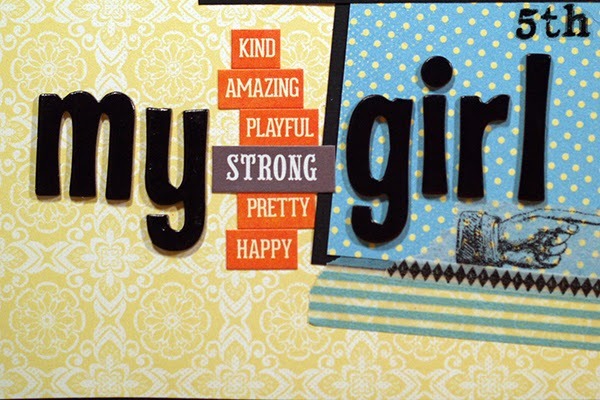 Next I reached for the Chevron Stencil from Want2Scrap and the Carribean Blue PowderPuff Chalking Ink. I shifted the stencil after the first application of ink so that the pattern lined up to create a diamond lattice when I inked a second time. I used a black pen to trace in some of those lines to highlight the shapes. 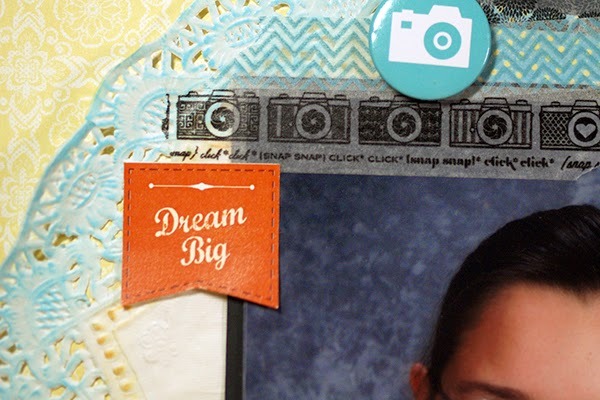 I cut circles from the Dream Big 100 paper and trimmed it to match the edge of the tag - except for the one circle I left on the upper right! 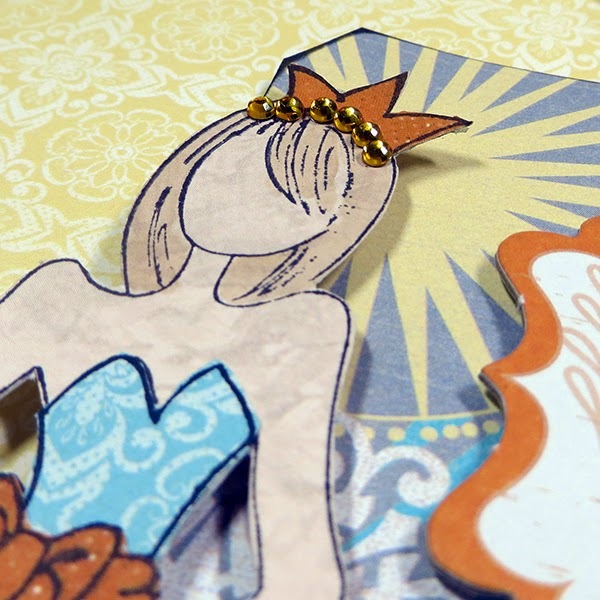 I paper pieced the doll by stamping her on multiple papers; the main body is Dusty Road 400, the dress is Dream Big, and the sash and tiara are from Calypso 200. I used Java Powderpuff Chalking Ink for her hair and created the band of jewels with the Want2Scrap 72 Count Orange Rhinestones. 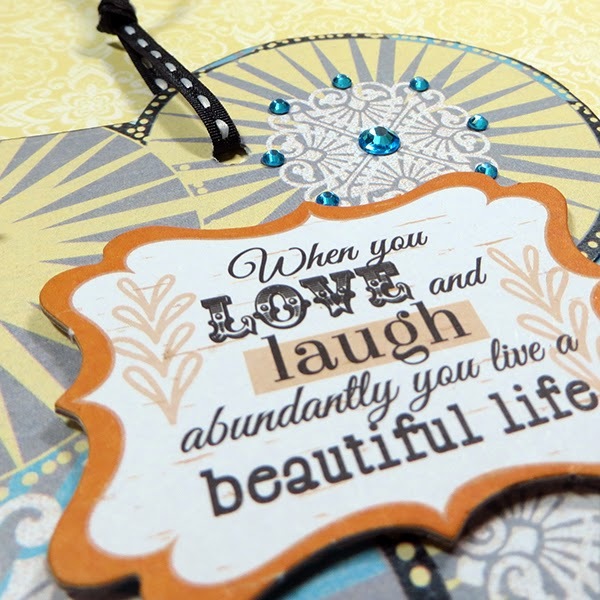 I added a sentiment from the Sheer Joy Chipboard Die Cuts and dressed up one of the designs on the paper with Want2Scrap 72 Count Turquoise Rhinestones. I love the 72 Count packages of bling from Want2Scrap because you get 4 different sizes of rhinestones in each pack! 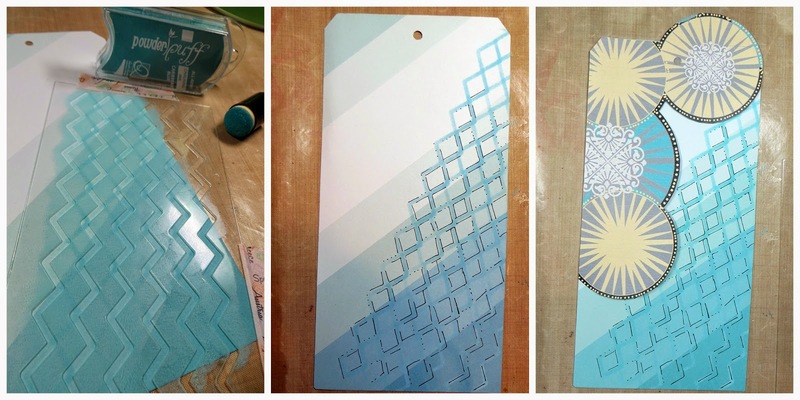 Here's another look at the finished tag. To create the base of the layout, I started with black cardstock and layerd on the yellow side of Dream Big 300. I added a doily in the upper left corner of the layout. Before I adhered it in place, I inked the edge with Carribean Blue and Orange Slice PowderPuff Chalking Inks. The "Dream Big" banner is from Calypso 500. The last thing I added was the title...a fun mix of dimensional alphas and little word stickers from my stash! Thanks for stopping by the Quick Quotes blog and I hope you find some time to play today! Super cute page! I LOVE the tag!